Disclosure: Sponsored posting with Clean & Clear. All opinions are 100% my own. Teenage skin is something I haven’t thought about since (well) I was a teen! We’re talking (dare I say it) about 25 years ago. I had terrible skin when I was a teenager. Teen skincare routines were something I was constantly looking for and reading about in my Seventeen magazines because I was determined to have clear skin. I wanted a teen skincare routine that would keep my skin healthy, glowing and acne free. I did the best I could with the resources I had as a 13-year-old and my mom was right there with me for support, helping me anyway she could. Fast forward to present day. I now have 5 kids, 2 of them being teens right now. William is 14 years old and Alex is 13 years old… we’re in the prime stages of teenage-hood here. Skincare is something I started talking to my sons about last year. My oldest son started experiencing some breakouts here and there and thankfully felt comfortable enough to talk to me about it. Obviously, no teenager wants to see their face breaking out, but it’s important to make sure they’re taking care of their skin – even when it’s not breaking out. There’s nothing worse than feeling self-conscious about your skin, especially when you’re a teenage boy. I was a girl… I knew that even in a “bad” breakout day I could cover it up. Boys can’t do that, so it becomes a little extra hard to deal with pimples that pop up (literally). Teen skin, I’m back… but just in a different capacity – I’m here as mom. I recently partnered with Clean & Clear and I couldn’t be more excited and happy about this amazing partnership because it happened to come at the most perfect time for us. 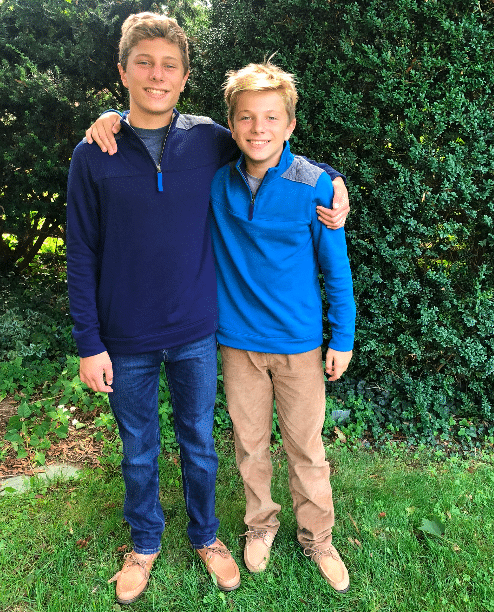 With back to school time here and finally getting ourselves into a normal routine again, I wanted William and Alex to get on a regular teen skincare routine. Just like I do in the morning and before bed, I take care of my skin. I have a routine that I do because it takes care of my skin, keeping it healthy and clean and nourished. 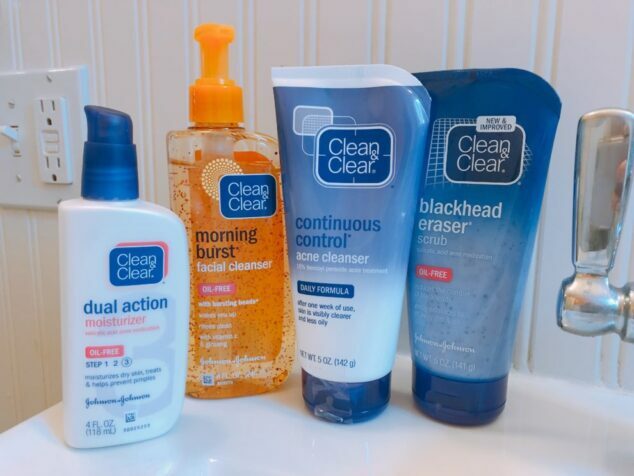 Teens need to do the same thing for their skin, too and I’m thankful that Clean & Clear is here to help me with the perfect teen skincare routine! Clean & Clear is the perfect answer for teen skin. Your teen, their skin, their products— this is Clean & Clear. They a brand that’s for teens, by teens. That’s why their skincare products are designed with teens in mind – to help them get rid of the bad and bring out their best. Each teen is unique and so is their skin, which is why they listen to their questions, they give them the solutions they want, and they help them bring their best face forward. Because when their skin lives up to their potential, so do they! I personally love that Clean & Clear caters to teens. Teen skin is not the same as adult skin and it needs to be treated that way. Even more, every teen has different kind of skincare needs and Clean & Clear caters towards those personal needs, too! Let me tell you about my teens William an Alex. These boys are always on the go. They’re big into sports, so they’re always sweating and running around. They also are swimmers, so their skin is in chlorinated water 4 times a week. My oldest son William who is 14 years old has oily skin and is starting to see blackheads forming around his nose. He hates it, he’s constantly asking me what he can do to get rid of them. My son Alex has drier skin than William and is just starting to see those occasional acne breakouts here and there. Just like William, he’s not a fan of even one pimple, never mind if there’s more than one! 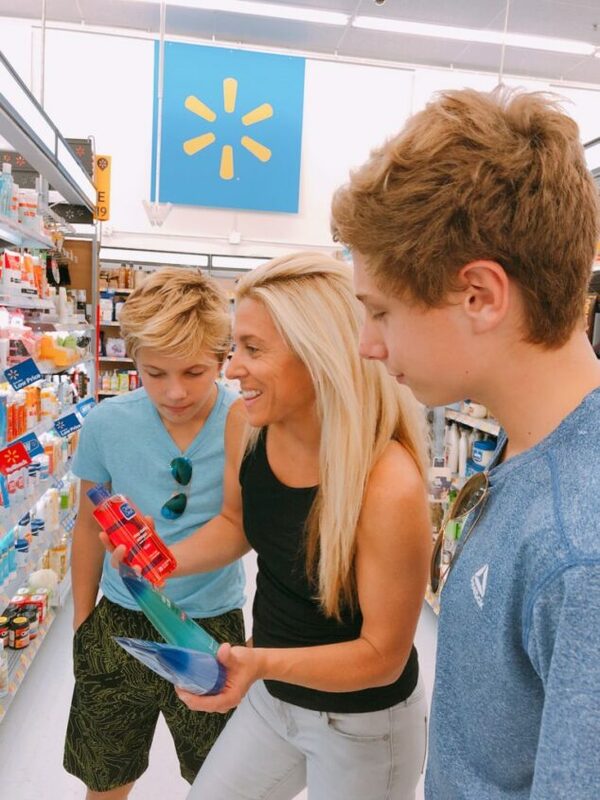 It’s important for me as their mom to teach them that acne is a normal part of the teenage years. It’s something that every teen experiences, it’s just par for the course. I just want them to be able to treat their skin healthy and keep it clean and as clear as they can throughout these years. I don’t want them to not be confident about going into situations or experiences because of their skin. I remember wanting to miss a dance in high school because my face was so broken out! My mom wouldn’t hear of it! I know kids say things about each other’s skin and I know it’s what people see. Like I mentioned above, boys can’t really hide their skin issues. But! 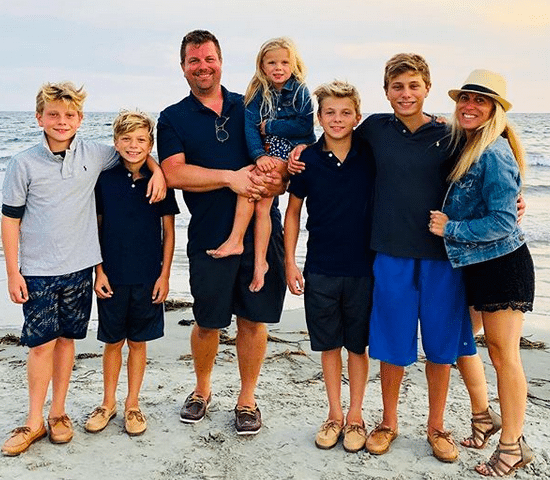 I love that as their mom I can help them take control and come up with a teen skin routine, along with Clean & Clear that they can easily follow and work into their morning and bedtime routines. BLACKHEAD ERASER® – See fewer blackheads in just two days! CLEAN & CLEAR® BLACKHEAD ERASER® Scrub has unique exfoliating multi-action beads that work to gently remove the trapped dirt, oil, and dead skin that can clog pores and lead to breakouts. Three sizes of multi-action beads allow surface exfoliation and a deep down clean. Salicylic Acid, an acne fighting medicine, clears blackheads and helps prevent new ones from forming. MORNING BURST® Facial Cleanser – A unique gel cleanser specifically formulated with Vitamin C and Ginseng to wake up the skin with fresh citrus scent while giving a burst of energy leaving the skin feeling clean, energized and ready to face the day. CONTINUOUS CONTROL® Acne Cleanser – An acne cleanser that removes dirt and oil and also features a pore-penetrating technology that deposits acne medicine to help fight and prevent future breakouts. These products are perfect for creating a Teen Skincare Routine that they can easily use every single day. Every night they know they need to wash their skin and make sure it’s clean. Every night they need to moisturize it and take care of it. Every night they know to make sure they’ve tended to any acne that has surfaced. I make sure I’m there to help them along the way. Recently my mother commented as to how good their skin looked and it was like they were handed gold! They really have committed themselves this back to school time to taking care of their skin and I’m so proud of them for it! 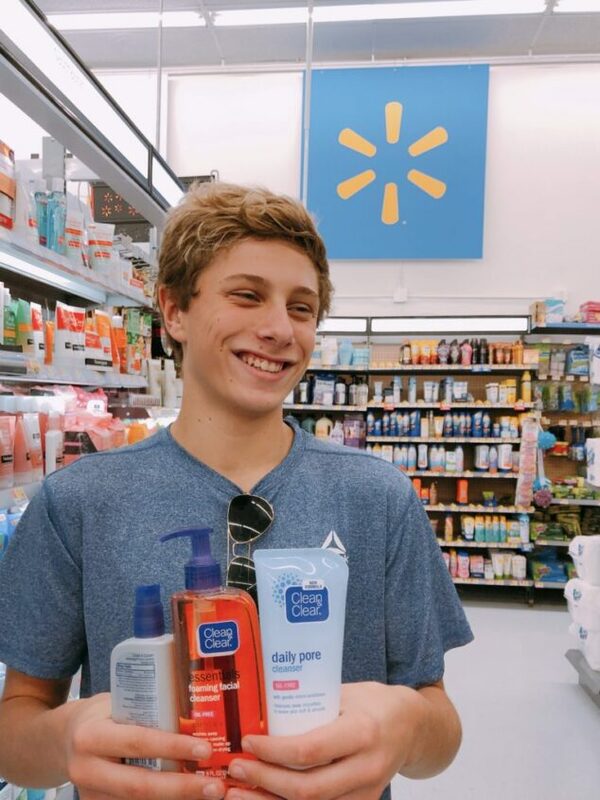 Teenage skin isn’t always an easy thing to take care of, but I love that Clean & Clear is here for the journey – making sure every need to met. Teens know they will be taken care of and I trust Clean & Clear to do just that for them! Nothing should stop our teens from going after their dreams… they need to always put their best face forward and with Clean & Clear they will constantly be proud and confident to do so! 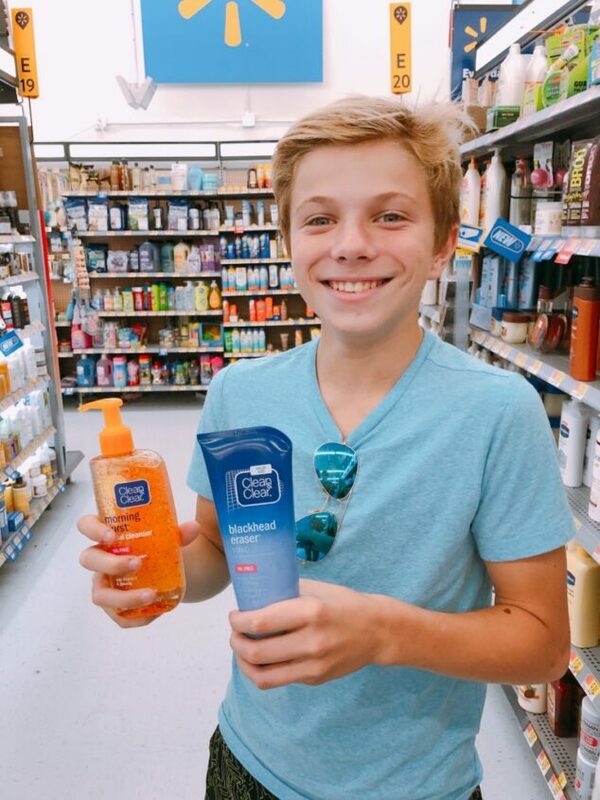 *I’m going to keep covering my journey with Clean & Clear here on the blog with my sons! As you know I have 2 more right behind them! This is a product my teen granddaughter has yet to try. She has some breakouts and would like to keep them under control. There are so many more choices than years ago. It is tough being a teen anyway, skin problems make them more self conscious. I am glad you are being proactive. I love Clean and Clear! My daughter uses the blackhead scrub! She loves it! I used Clean & Clear when I was a teen and now I have two preteen girls and a teenage son dealing with the same issues. Thanks for the reminder, I need to stock up. Looks like they have new choices. My teen could really use some of this great advice. There are so many wonderful products for tweens and their skin, I am sure this would be a big help. Thankful there are so many great items out there and the Clean and Clear line is our favorite. I have two teenagers so we are ALL thankful for these products. Oh the angst of teen skin! Would any of us ever want to go back to those days? And watching our kids and now my grandkids go through it is worse than my experience ever was. My 15-year old grandson is actually on prescription meds for his acne and it breaks my heart. I’d love for him to toss the meds and go for good ole Clean & Clear. So important to help them out at this age! 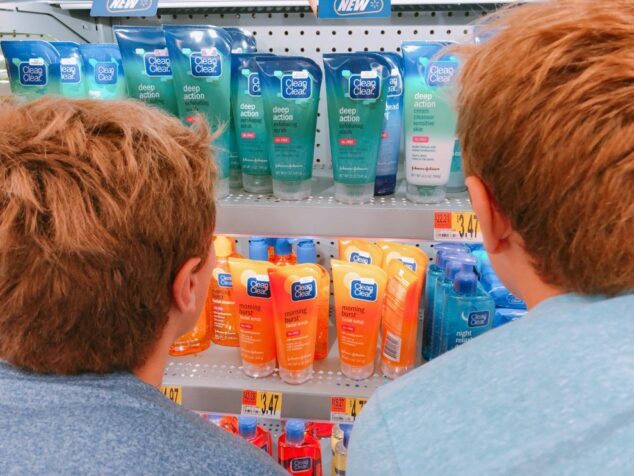 My sons both needed to learn how to best take care of their skin. Definitely an important life skill!